Find a Music Business Job: Which Is Right for You? What Job in the Music Industry is Right For You? One of the benefits of running a label is you never have to work with music you don't love or a band that drives you crazy. You can get a hand in every step of the process, from choosing the releases, picking a release date, planning the promotion, working on tours and more. Some of the drawbacks include a significant upfront investment. It can be a very long time before you make any money; just as you get to have a hand in every part of a release, you often have to pay for most of those part, so juggling cashflow is a challenge. This position requires good organizational skills, and you must be able to self motivate. Working for a label allows you to learn the ropes of record labels without taking any of the financial risk yourself. 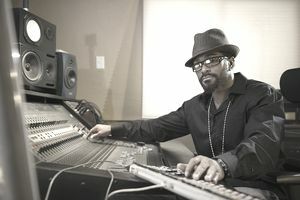 It gives you a chance to sample different aspects of the music industry, to help you figure out where your strengths are. The pay may not always be great, depending on the size of the label, but it's still better than footing the bill yourself. However, you don't get to pick the music, so you may not love every album you're working on. At larger record labels, you could essentially end up doing office work instead of working closely with music. As a manager, you have involvement in every aspect of a band's career, and thus, you get a hand in many different parts of the music business. You get to work with music you love and you choose who you want to work with. On the downside, if you work independently for up and coming bands, pay day can be a long way off, and you may have to spend some money up front. This job can be very stressful; managers shoulder a lot of responsibility, and when things go wrong, you will often shoulder the blame. This role requires organization, self motivation and drive. If you love live music, then a job as a promoter might be for you. You will get to work with bands you love, and the role can pay well. If you work independently, in small venues and with smaller bands, it can be very expensive. Bands will also blame you for a bad show. Promoting shows is time intensive, and does not always get results. As a music agent, you work with managers, bands, promoters and labels. You get to put together shows without being the scapegoat, like promoters. It can be a very difficult career to break into, taking a long time to become established. Your income is likely to be very small until you have built a name for yourself. As a music distributor, you get to hear all of the new releases before anyone else and are always the first to know when new albums are coming out. You will work closely with record labels and record stores. You may have to sell albums you don't like, and the job can be tedious. Common tasks include packing boxes, organizing logistics, calling freight companies and more. It can be a very stressful career, with labels that miss release dates, poor sales and stores that don't pay on time. As a sound engineer, you get to take part in the excitement of live shows and may even go on tour with bands. This is a great career for those who enjoy the technical side of music. The pay can vary greatly, depending on what kind of shows you are doing. You'll need to roll with the punches of working on the best sound desks to the worst and still make it sound good. You get to see the payoff for your work quickly when something you're promoting gets reviewed or played on the radio. Get a hand in the creative process with lots of different artists. Get a lot of credit - great producers are recognized for their artistic achievements in the same way great musicians are. Can pay well, especially if you get points on a record that sells a lot of copies. Hours are long and irregular. Getting started can be tough - you may have to work for free for awhile to build up a reputation. Need to learn about studio equipment/recording techniques, so there is a time investment in training. Need to stay on top of new technology all the time. Get to interact with some of your favorite artists. Always have the inside track on what new releases are coming up. Have a hand in shaping trends and a venue to share your thoughts about the music industry. Good for guest list spots! Lots of competition - you have to fight hard to get published and to be the one to get the interview, the story, etc. Need to be able to work independently and manage deadlines. Easy to get ripped off - many designers see their images used in merch and without a good contract, they may not make a penny from those sales.